The town stands in the path of the American army, which is trying to establish a defensive line against possible counterattacks. The Germans were entrenched here and defended the town with tenacity. You must either make this fortress fall by commanding the American army, or honour the nickname "Lions of Caretan", which the Fallschirmjagers earned there from their enemy. 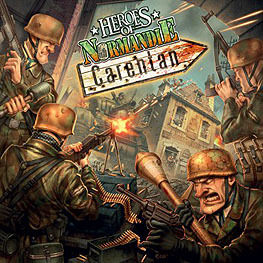 A campaign of 6 Scenarios replicating the battle of Carentan, day by day.